A non-white rot fungus, Penicillium simplicissimum (isolate 10), was investigated for its biodegradation activities towards toxic triphenylmethane (TPM) dyes such as Crystal Violet (CV), Methyl Violet (MV), Malachite Green (MG), and Cotton Blue (CB). High decolorization efficiencies of 98.7, 97.5, 97.1, and 96.1% were observed for CV, MV, MG, and CB, respectively, within 2 h of incubation in the dye solutions (50 mg L−1, pH 5.0, 25 ± 2 °C). UV–visible spectral analysis of dyes conducted before and after treatment with P. simplicissimum indicated the occurrence of biodegradation. 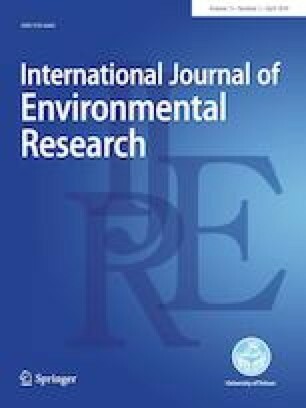 This was confirmed when enzymatic analyzes revealed induced production of manganese peroxidase (MnP, EC 1.11.1.13; 23.31 U mL−1), tyrosinase (EC 1.14.18.1; 16.18 U mL−1), and triphenylmethane reductase activities (1.15 U mL−1), particularly in biodegrading MG. For MV and CB, increased activities of tyrosinase (20.35 and 18.74 U mL−1, respectively) were detected, whereas no enzyme activities were detected for CV. Dye biodegradation by P. simplicissimum led to reduced toxicity (particularly for MG) based on phytotoxicity and microbial toxicity assays. 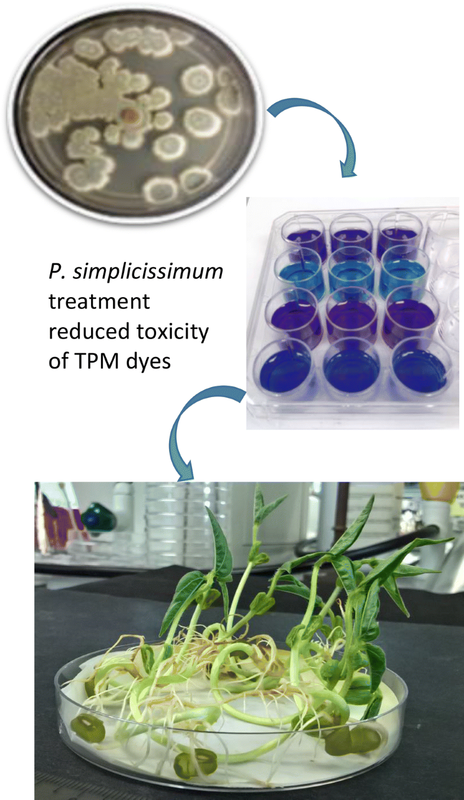 It was concluded that P. simplicissimum showed potential in biodegrading and detoxifying TPM dyes via MnP, tyrosinase and triphenylmethane reductase activities, resulting in less harmful treated dye solutions. This work was supported by the Malaysian Ministry of Higher Education [FRGS/2/2013/STWN01/MUSM/02/2]; and Monash University Malaysia.